With over 30 years as a forerunner in the stone and tile care industry, Aqua Mix has become a first choice for contractors and DIY enthusiasts alike. With products for the installation phase, restoration, and on-going maintenance, you’ll be sure to find the right solution for your project. Aqua Mix line of products include sealers, enhancers, cleaners, restoration products, problem solvers, and grout colorants for a wide of range of materials including stone, tile, masonry, and concrete. Aqua Mix 1 & 2 Deep Clean is an effective, highly concentrated, high-alkaline, 2-part (1 part powder, 1 part liquid) industrial strength cleaner and degreaser. Aqua Mix AquaKleenTM is a ready-to-use, powerful, multi-purpose tile and grout spray cleaner that cleans and deodorizes kitchens and bathrooms. Aqua Mix AquaShield Cleaner & Resealer is a non-acidic, non-abrasive cleaner and re-sealer that cuts through tough messes and re-seals surfaces as you clean. Aqua Mix Enrich'N'Seal is a premium, no-sheen, enhanced-look penetrating sealer formulated to darken, enrich and highlight the character and beauty of unsealed natural stone. Aqua Mix Floor Shine & Hardener is a clear durable floor finish that resists surface abuse and leaves a beautiful high-sheen finish. Aqua Mix Grout Colorant is an easy-to-use waterborne epoxy that re-colors, seals and rejuvenates existing grout joints. 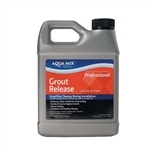 Aqua Mix Grout Colorant Pre-Treat Cleaner is an effective ready-to-use cleaner designed remove dirt, soil, soap scum and hard water deposits from grout joints. An easy-to-use, professional grade waterborne epoxy that recolors, seals and rejuvenates dirty or discolored existing grout joints. Use with a variety of grout types, including cement, epoxy, urethane and Single Component grouts. Aqua Mix High Gloss Sealer is a especially formulated water-based blend of acrylic polymers that provides both a stain resistant surface seal and a durable high-sheen finish eliminating the need for two products. Aqua Mix High-Gloss Sealer is a specially formulated water-based blend of acrylic polymers that provides both a stain resistant surface seal and a durable high-sheen finish eliminating the need for two products. 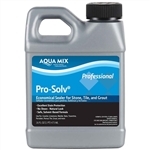 Aqua Mix Pro-Solv is an economical solvent-based, penetrating sealer formulated to resist stains, especially in food preparation and serving areas. Aqua Mix SameDay Grout Sealer, 15 oz. Aqua Mix SameDay Grout Sealer is a non-flammable, no-sheen, natural look formula that is water-based and allows moisture vapor transmission. Easily apply colorant or sealer to your grout without making a mess. This grout sealer roller bottle will make it easy to apply product to the grout and only the grout. Aqua Mix Sealer's Choice Gold (formerly Aqua Mix Sealer's Choice 15 Gold) is the professional's choice for a premium sealer for stone, tile and grout. Aqua Mix Stone Clean & Shine is a spray-and-buff cleaner that is designed to enhance the natural beauty of the stone as it cleans. Aqua Mix Ultra-Solv is a premium, no-sheen, natural-look, solvent-based penetrating sealer formulated to provide maximum stain protection, especially in food preparation and serving areas.